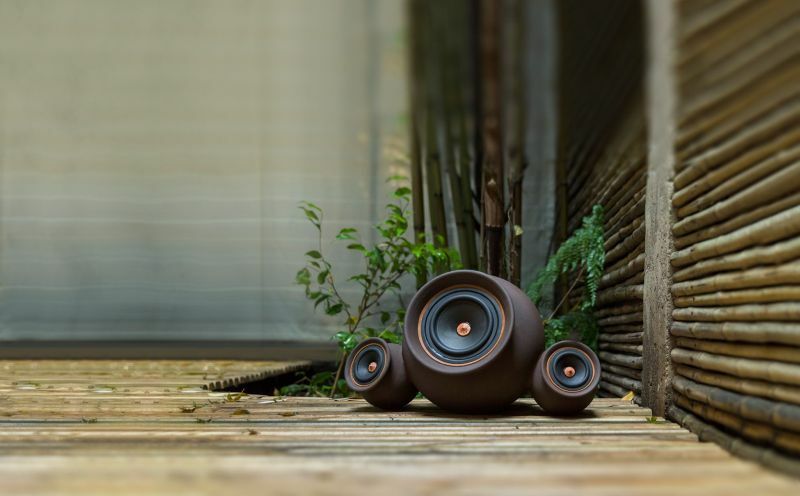 Mapuguaquén are limited edition clay speakers by Documentary Design, a Canada-based studio founded by Pablo Ocqueteau and Philine Von Duszeln. 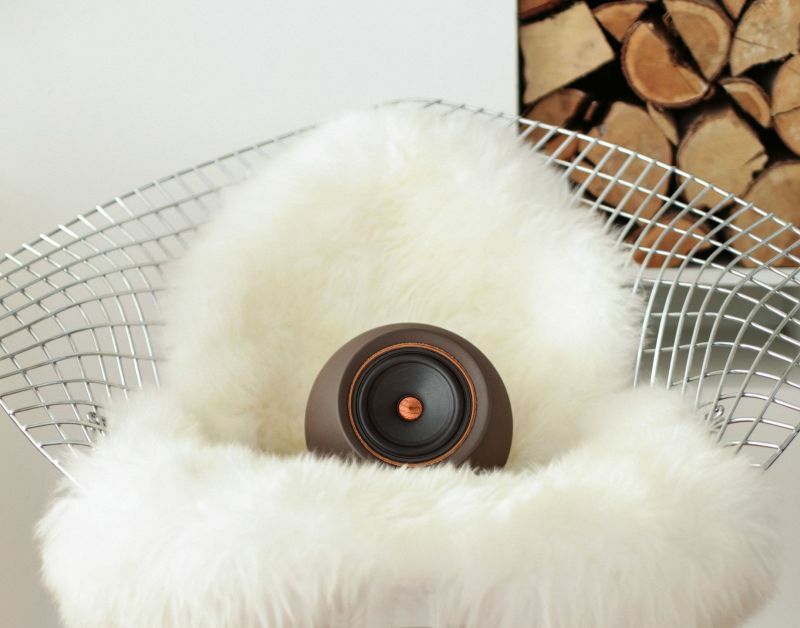 Handcrafted from organic materials like clay, wood, leather, and wool; these wireless speakers combine traditional pottery craft with modern technology. 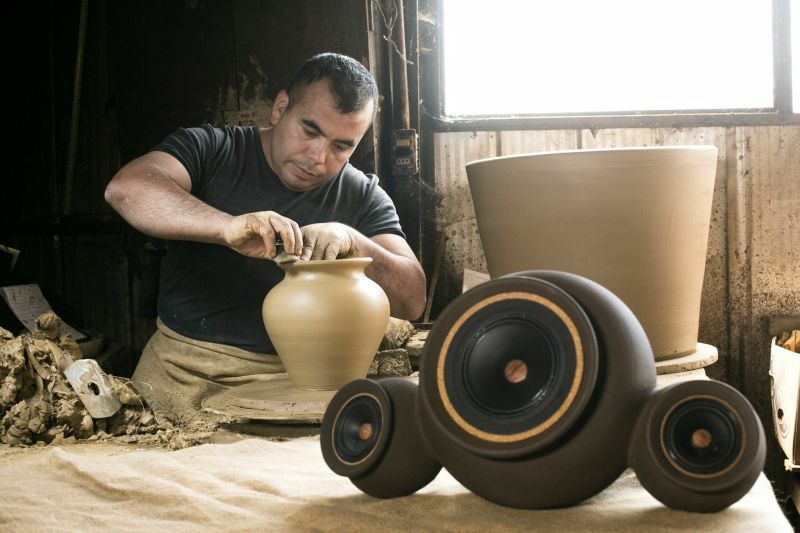 Their sound system is developed in Germany while the clay body is handmade by Chilean craftsmen. 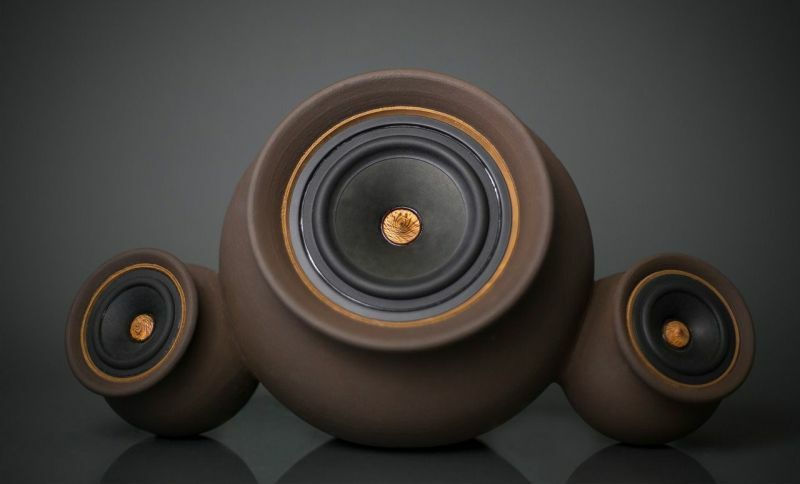 Vessels holding the speaker components are cooked in 1000-degree Centigrade temperature to get enough rigidness. 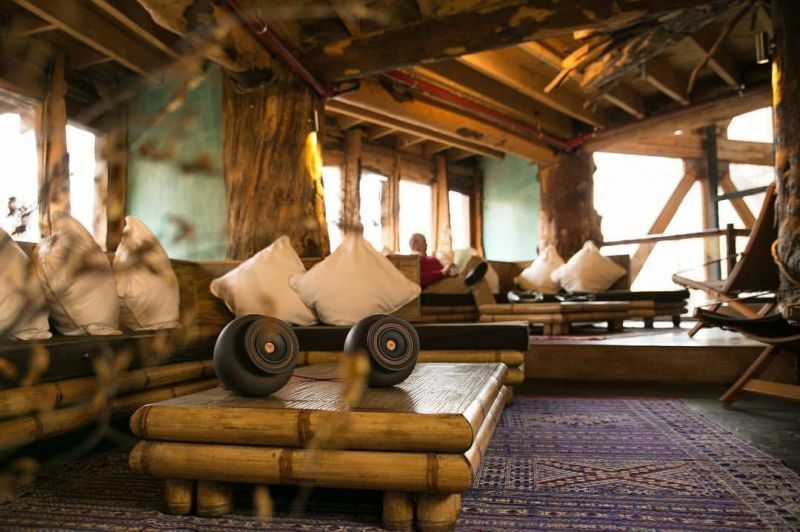 The spherical shape of the vessels benefit the sound transmission in two ways: it avoids sharp resonances inside the vessel and smoothes out the focusing effect of the housing at high frequencies outside. 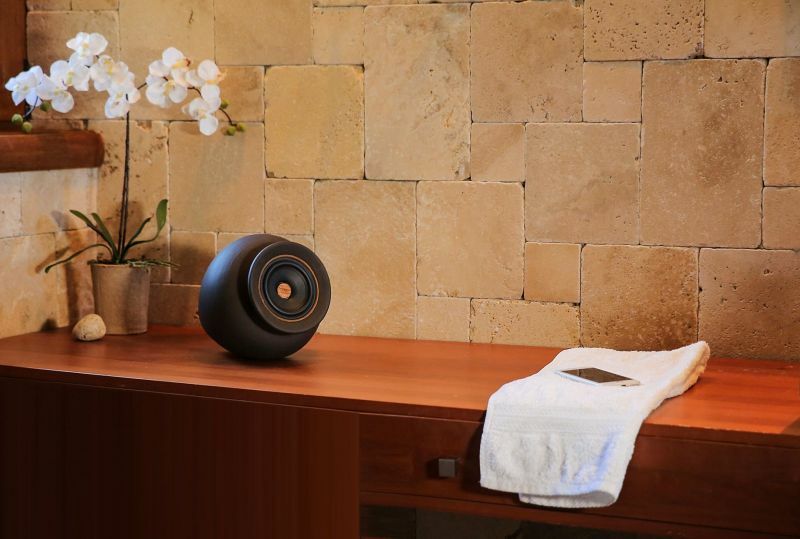 This helps create life-like interaction between the sound source and space where the clay speaker is placed. 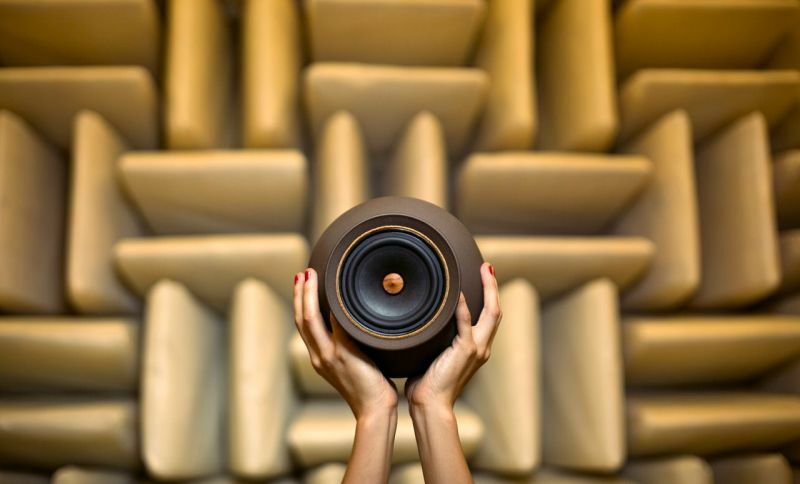 Furthermore, felted wool is used for internal acoustic insulation of the speakers and a handcrafted concave wood cone is placed in the center of the driver to optimize the off-axis response of high frequencies. 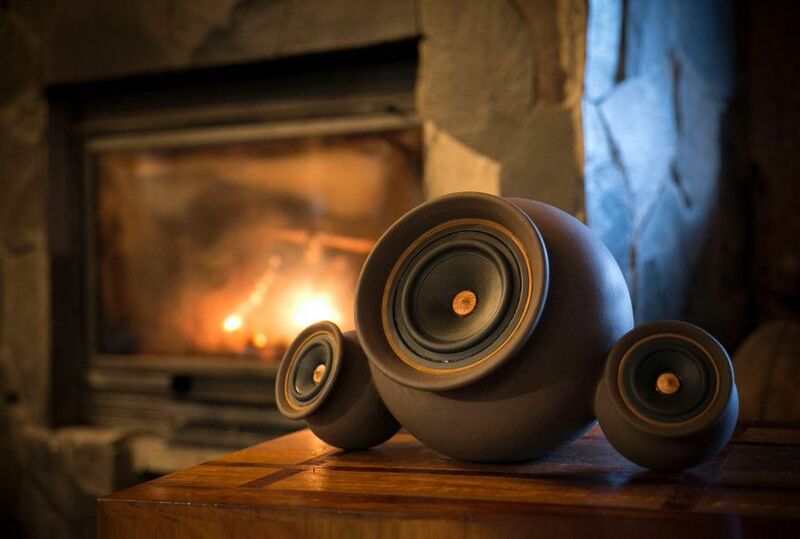 Equipped with Class D amplifiers with Bluetooth technology and other electronic components, these clay speakers can be operated wirelessly or through an AUX cable. 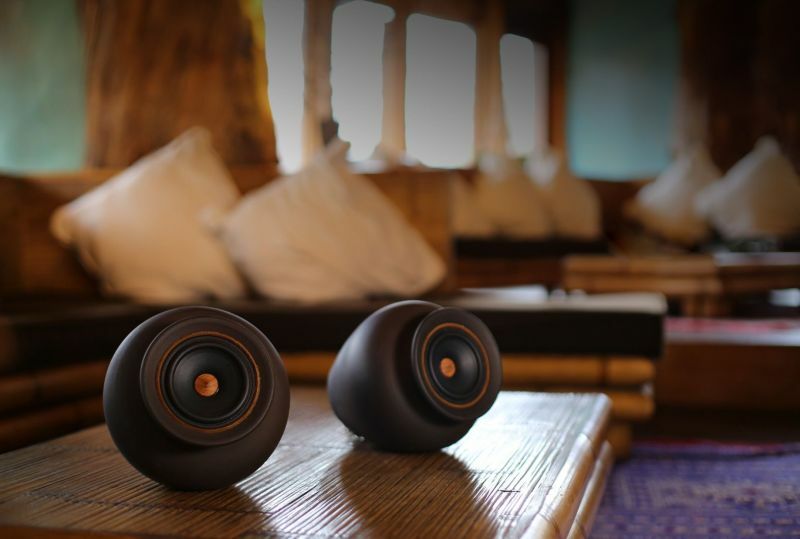 The Mapu Mono/stereo speaker uses a 4” full range driver while the Mapu 2.1 speaker has two 3” mid/high drivers in combination with a 5 ¼” woofer to provide clear and powerful output. 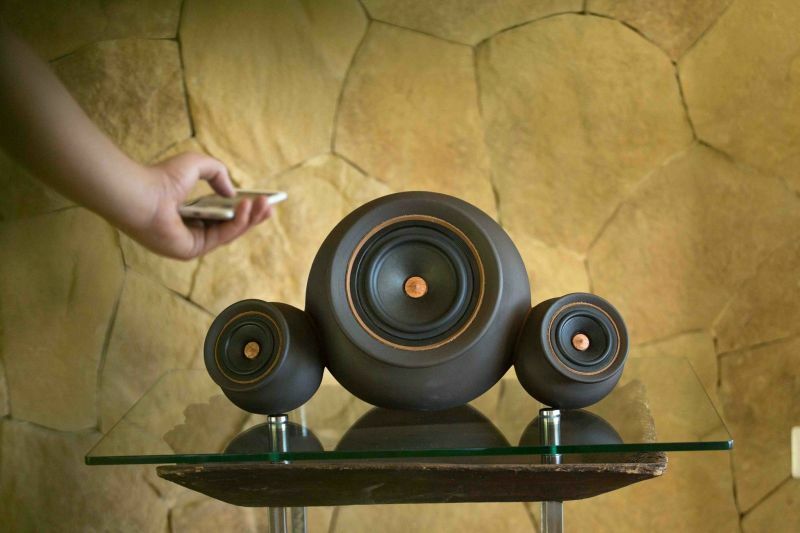 Each Mapuguaquén Bluetooth speaker is a unique, customized piece of art, made by experienced hands with dedication and precision. 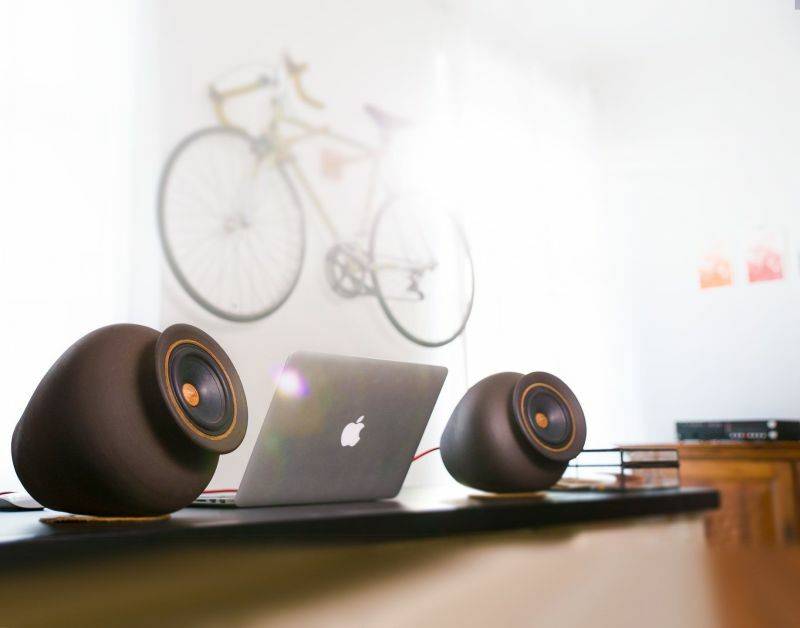 Currently seeking funds on Kickstarter, it is available in mono, stereo, and 2.1 speaker system. 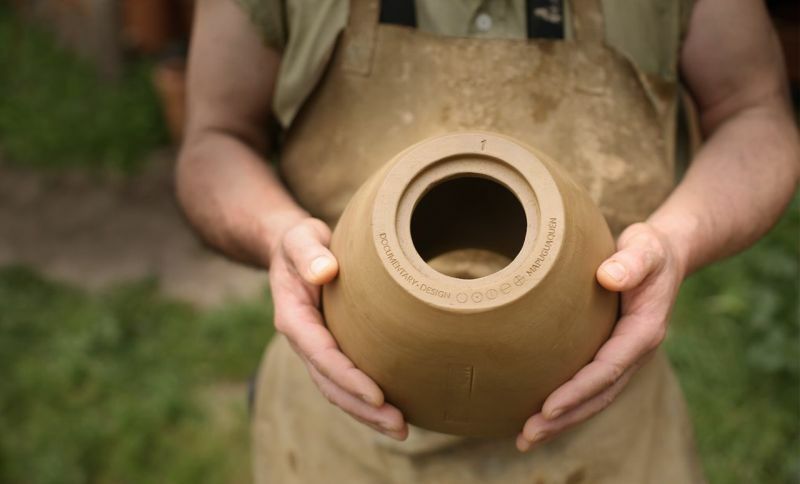 You’ll need to pledge the campaign for a minimum of €314 ($365) to get the mono version by December 2018.